Pierson, FL – At the beginning of spring ’10, SDS sent a student delegation to meet with the Farm Worker Association of Florida (FWAF) and explore their work in the fernery capital of the world (Pierson). While there, the farmworkers (mostly Hispanic and Haitian) took us around to see their work sites and exposed the darker side of the ornamental industry. They spoke to us about their history in this predominantly Hispanic town and how they have been systematically neglected by local authorities, citing a case in 2004 where Hurricane Charley devastated the town and the city officials turned down assistance from the Red Cross, because apparently it might disincentivize workers from going to the fields and harvesting the perishable ornamental crops. That is, should they be given help during natural disaster, they might get lazy and not work during a hurricane. During subsequent meetings, the workers expressed a need for representation in their town council and we accepted an offer to provide them with campaign information, student canvassing brigades, and political advice. 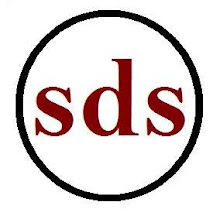 To this end, SDS has drafted a political strategy report that includes demographic information, historical political analysis, a tentative campaign budget, along with central labor council networking and other potential avenues for endorsement opportunities. Our next meeting with FWAF is scheduled for April 29, at 6:30pm in Pierson, FL.